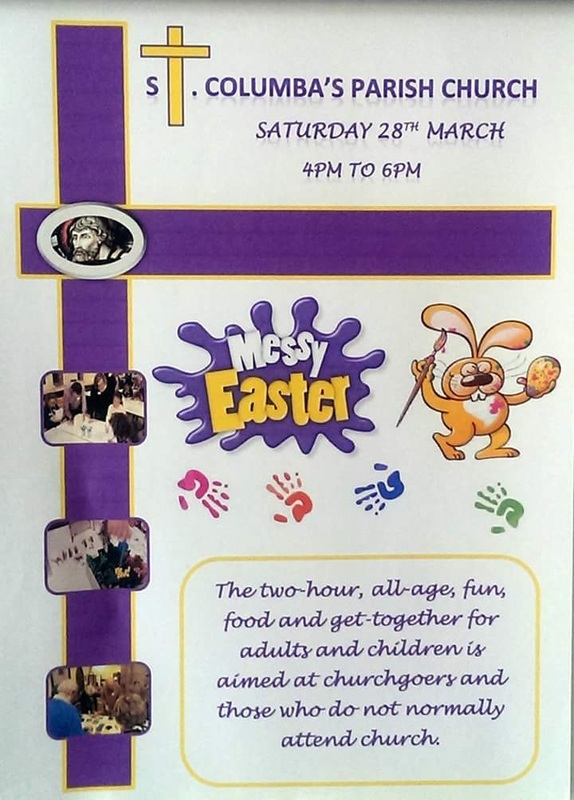 Information for Messy Easter Church Event. It's primarily for people who don't already belong to another form of church. It meets at a time (and sometimes in a place) that suits people who don't already belong to church. It typically includes a welcome, a long creative time to explore the biblical theme through getting messy; a short celebration time involving story, prayer, song, games and similar; and a sit-down meal together at tables. All elements are for, and should include, people of all ages, adults and children. It's all-age. It's fun. It's a church for people at all stages of their faith journey and of any age - a congregation that is as valuable and worthy of investment as any of your other congregations. Its aim is to introduce Jesus, to give an opportunity to encounter him and to grow closer to him. Messy Church is resourced, supported and enabled by BRF, The Bible Reading Fellowship. Most Messy Churches meet once a month, although a few meet more frequently or more occasionally. Messy Church is an all-age fresh expression of church that offers counter-cultural transformation of family life through families coming together to be, to make, to eat and to celebrate God.